Persistent. 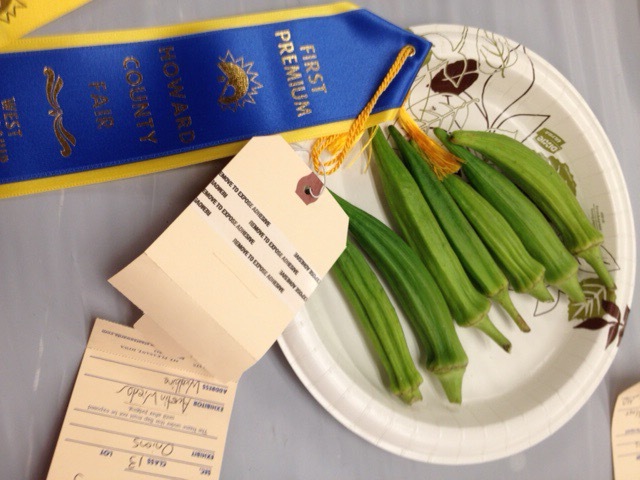 That would be my efforts to do well with my vegetables at the county fair. I have learned quite a bit, over the years. Finally, a ribbon for my heirlooms. Second place there. 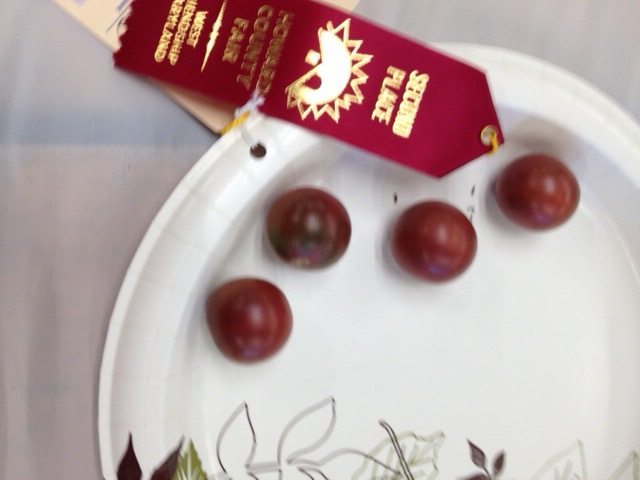 Almost to that elusive goal I set when I first submitted two Brandywine tomatoes. This time it was the lovely black cherry tomatoes grown from the plants I purchased at the farmer’s market, from Love Dove Farms. But, the big news. 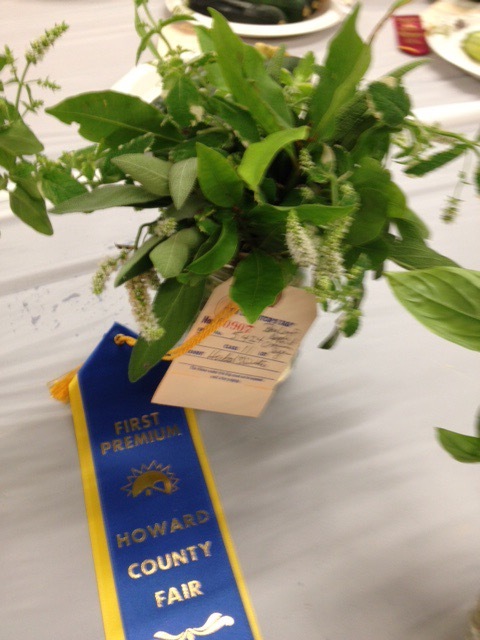 THREE blue ribbons. Never have I been that successful. What have I learned? Consistency in size. Blemish free and classic shapes. Unique herbs like the bay leaf from my plant on the patio. Okra, which not many people grow, and I was lucky to have seven pods bright and shiny. 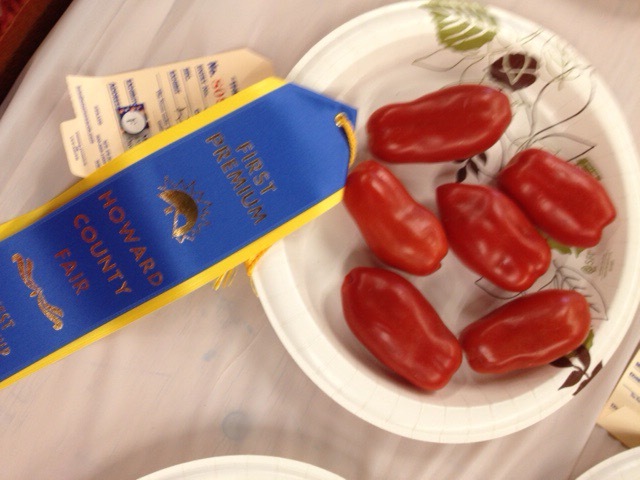 The San Marzanos finally started pumping out pretty red tomatoes. I didn’t expect to do this well. It makes it all worthwhile, weeding, watering, sweating during the warmest days. Today we celebrated. Had a soft shell crab sandwich from the JB Seafood tent at the fair, followed by a relaxing visit to the beer garden. Manor Hill Farmhouse Ale. We will be at the fair many more days this week. It’s one of my favorite weeks in the summer.